We were planning to go to the Cherry Blossom Festival at the Brooklyn Botanical Garden this past Sunday but the weather didn't cooperate with our plans. Even on a rainy day you can come up with options to make the best of it. There are few things can be done on a rainy New York City day; go to a movie or a museum, stay home to watch TV or read or go for a walk and get couple of drinks with lunch. Shake Shack has always been our first spot for a nice burger in the neighborhood. Of course you get to wait an hour over the weekends and that can be even longer on a sunny day. Usually rainy days are much better to get your Shack Shack fix, also checking the web cam gives you a good idea on the length of the line. 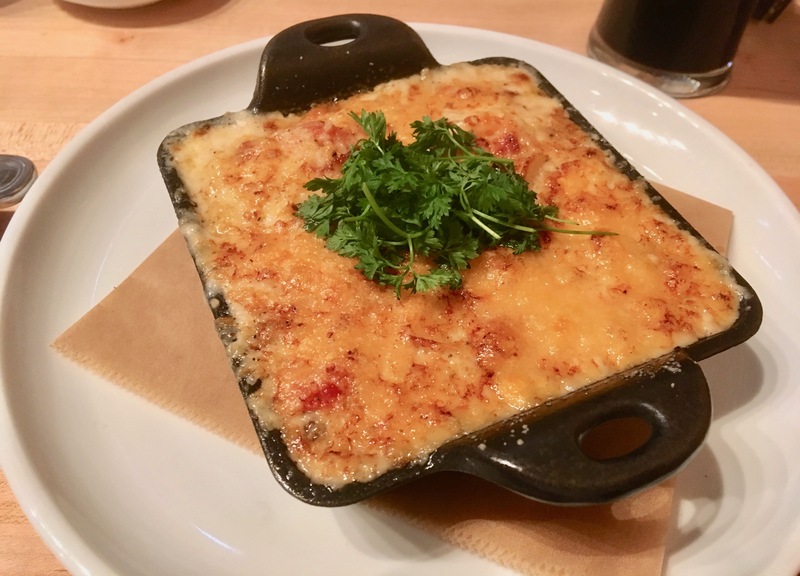 We were just on our way but then we bumped in to couple of friends who happened to have the same exact idea but their choice of restaurant was another burger establishment in the Murray Hill area; Rare Bar & Grill in the Shelburne Hotel on Lexington avenue and 37th street. Once we got there the place was still busy with Sunday brunch crowd but most tables were getting their checks so we were able to get seats pretty quickly. We started with a round of Mojitos at $14. They were alright but last weekend we had much better ones at the La Fonda del Sol in the Met Life Building. We should have gotten the hint of everyone drinking bottled beer. 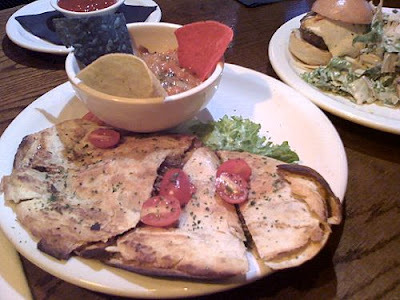 We didn't want to go for full furger meals because of our early dinner plans so we ordered the Burger Trio which is a Chef’s choice of the week - three mini burgers for $15 and Shredded Brisket Quesadilla with homemade salsa for $14. Mini burgers came in three different versions; one was Mexican style, second one BBQ and the last one was a Cheeseburger. 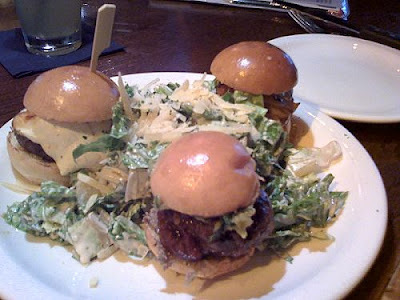 They all come in mini brioche buns and Caesar salad in the middle of the plate. Quesadilla came with a home style salsa but with only three nachos so we had to use our forks to eat the rest. Most people were ordering burgers. There is an extensive list of burgers on the menu; you can choose anything from Kobe Teriyaki $21 to BBQ Bison burger $15. We plan to return to sample some of the other burgers.